The Wisconsin Association of Campground Owners attends several RV shows in the Midwest every year. Below is a list of known shows we will be attending, or have a presence at, along with attendee information. WACO – a non-profit association, is a federation of private Wisconsin campgrounds dedicated to the promotion, usage, growth and improvement of campgrounds in the State of Wisconsin. The Wisconsin Association of Campground Owners was formed to help campers select a private campground in Wisconsin that lives up to the highest standards of quality camping. We want to improve your family camping experience by making it a pleasant, relaxing and rewarding outdoor experience at our campgrounds. 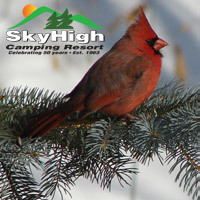 Members range from primitive parks to luxurious camping resorts, both large and small. The amount of development, activities, facilities and types of recreation, rental opportunities, as well as nearby attractions and conveniences, are featured in our listings, giving you the opportunity to select the campground that appeals to the personal requirements of you and your family. Wisconsin offers an outstanding variety of recreational and cultural opportunities for the whole family to enjoy while camping. The many lakes, rivers, hills, streams and valleys provide scenic beauty and sporting activities beyond compare. The wide variety of sporting events, local festivals and attractions, which are located throughout the State, will provide many hours of fun and entertainment for every member of your family. Whether traveling across a county, a state or our nation, Wisconsin is the best place to spend your leisure time. Camping is a perfect opportunity for family togetherness. Have an enjoyable stay at a WACO member campground this season. When registering, mention that you saw them on the WACO Website. The WACO Guarantee is a full refund to any camper requesting a refund on campsite fees and leaving within one hour of check-in. This guarantee applies to campsite fees only and is not valid on holidays or holiday weekends.